Are you interested in the history of the Titanic? Would you like to find out more about this famous liner and how it came to sink? 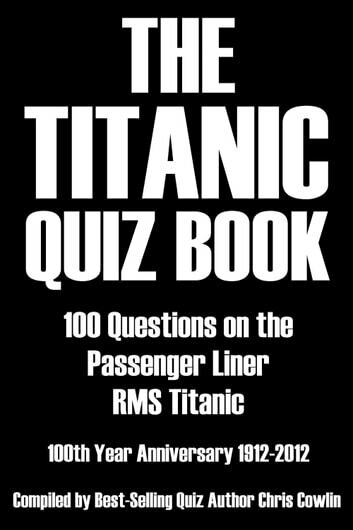 If so, The Titanic Quiz Book has all the answers.Few events in history have captured public imagination to such an extent as the story of the Titanic which has spawned numerous films, documentaries and books through the years. 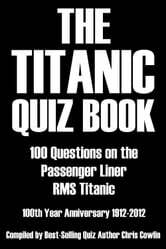 This new quiz book will tell you everything you ever wanted to know about the Titanic including all the facts and figures of the liner’s construction, details on crew members and passengers and lots more related trivia. Who was the captain of the Titanic? On what date during 1912 was the ship’s maiden voyage? In which year did a team led by Jean-Louis Michel and Dr Robert Ballard find the Titanic? These are just some of the 100 questions you will find inside this book. The Titanic Quiz Book is a fitting tribute to all those who lost their lives one hundred years ago and will help to ensure that their memory lives on.